There are many establishments and buildings in India. All of these belong to different era of the great Indian Civilization and all of these signify the architectural prowess and purpose of that time period. 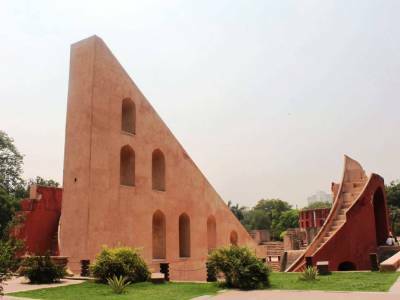 Jantar Mantar is one such construction that unequivocally establishes the fact that Indian constructions were some of the most prudent scientific inventions from the yesteryears. 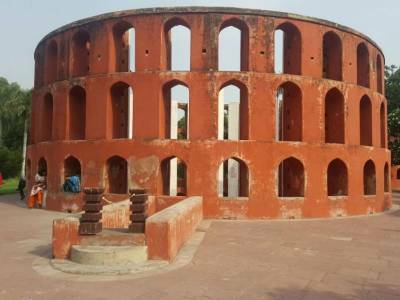 Jantar Mantar is located in the historic city of Delhi, the present Indian Capital. However, there is an interesting trivia about Jantar Mantar. There are five of its kind and all of these were built by Jai Singh the Second, the Rajput Maharaja of Jaipur. He was given this task by the then Mughal Emperor of India Mohammad Shah. 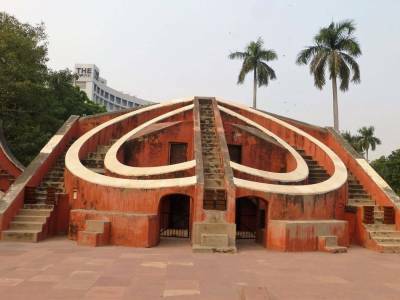 The purpose behind the construction of Jantar Mantar was to ascertaining the correct solar calendar by meticulously calculate and analyze the position of the astronomical bodies in the Indian sky. 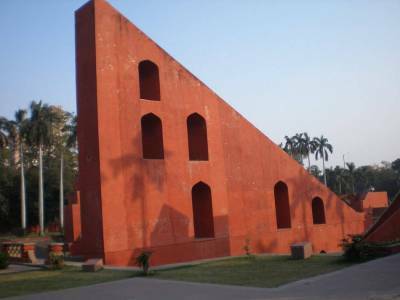 The design of the Jantar Mantar is similar to that of an astronomical instrument only on a grander scale. The construction of this unique building was completed in the year 1724 AD. 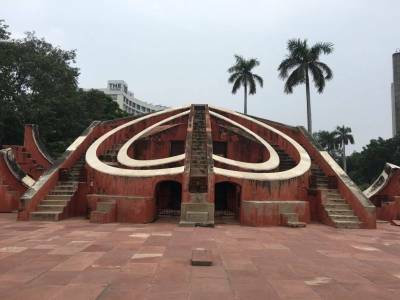 There is a plaque in the front entrance of Jantar Mantar that definitely describes its history and its reason of existence to all the visitors. The entire place is covered with green lawns and beautiful flower beds especially during winter and spring. With significantly fewer tourists thronging the place as compared to other attractions like Qutub Minar and Red Fort, spend some time just lazing around the place and enjoying its beauty. Get quick answers from travelers who visit to Jantar Mantar, Delhi.